DomainNameWire reports on the UDRP divided panel decision denying the request by the American Automobile Association, Inc. (“AAA”) to obtain the domain name www.aaa.net. (HT: DefendMyDomain.com). See The American Automobile Association, Inc. v. QTK Internet c/o James M. van Johns, FA0905001261364 (Nat. Arb. Forum July 25, 2008). The decision is an interesting one in that it goes against the position of many trademark owners seeking to obtain a domain name under the UDRP that a pay-per-click advertising site cannot give rise to a legitimate claim to a domain name. The panel made clear that it was rejecting the argument that pay-per-click advertising is per se illegitimate and that whether the advertising is a bona fide offering of goods or services instead turns on whether the domain name owner is exploiting the trademark owner’s trademark by offering advertisements that confuse Internet users for commercial gain. While [AAA] has found among the sea of auto-generated advertisements some related to its business, these appear to be few, and do not seem likely to create or exploit consumer confusion, and on this record could plausibly have been inadvertent. . . . Because such advertisements are auto-generated and rare, they do not appear to be targeted at [AAA’s] mark. The lack of targeted advertisements combined with the fact that is a desirable domain name for reasons unrelated to Complainant’s business suggest that Respondent’s pay-per-click advertising is a bona fide offering of goods or services. 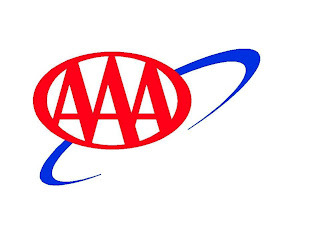 And so the panel, by a vote of 2-1, refused to order the transfer of the domain name to AAA. Respondent’s business model is to take generic words and/or letter combinations and to register them as domain names. Once someone wants to acquire the domain name, Respondent will sell it (presumably at a profit, otherwise Respondent could not stay in business). This Panel believes such practices were intended to be prohibited by the policy, even though this case is a close call.